Hanoi (VNA) – A Bold. Art exhibition themed “Multiculturalism” opened in Hanoi on August 11, featuring a number of unique artworks created by artists from Asia-Pacific and the Middle East. Thirteen young artists from Australia, China, Indonesia, Hong Kong, Japan, Taiwan, the Republic of Korea, Malaysia, Singapore, Thailand, the Philippines, Vietnam and the United Arab Emirates tell stories about the multicultural trend in their countries through sculptures. The artworks were made from production materials used by Kohler, a US kitchen and bath products manufacturer. Angel Yang, President of Kohler Kitchen and Bath Asia Pacific, said Kohler always honours cultural and artistic values along with the combination of arts with designs so as to create unique, attractive and outstanding products. The Bold. Art exhibition aims to provide a playground for artists to freely show their talents. 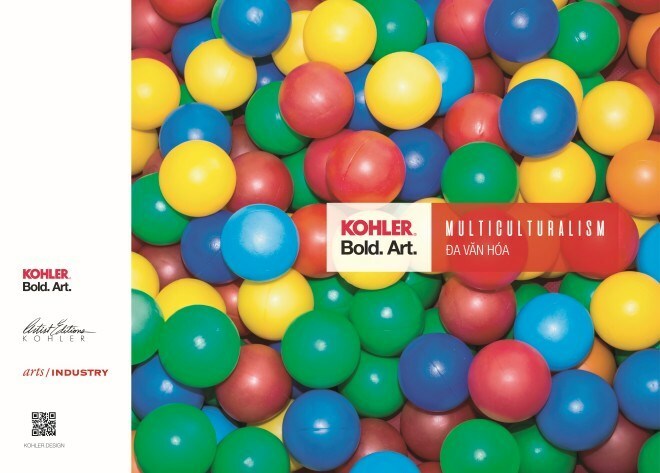 Aside from the “Multiculturalism” exhibition, Kohler is also showcasing three patterns that won prizes at the Kohler Design Challenge – Art Inspired by Architecture.